When the market was eager for more funds to consolidate bullish stocks, China's central bank chose to halt the troops and wait, in the bottoming-out economy. The People's Bank of China did not rush to ease commercial banks' reserve deposits as many investors had expected. Now economists are deducing that the central bank may have less motivation to further ease monetary policy than it did at the end of last year. Statistics from March have confirmed an uplift in the economy and are reviving optimism after months of flagging sentiments. The five-month consecutive rises in China's foreign exchange reserves, up to nearly $3.1 trillion by the end of March, indicate less pressure of capital outflows. The data was updated by the State Administration of Foreign Exchange on Sunday. The growth of the foreign exchange reserves was accompanied by moderate appreciations of the renminbi because of global investors confidence in the world's second-largest economy. In the beginning of April, Chinese stocks notched their best performance in a year. The CSI 300 index, composed of major companies listed in Shanghai and Shenzhen, has reached its highest level since March 2018. The stock rally has gone paired with a rebound in manufacturing activity in March, as indicated by the manufacturing purchasing managers index, after three consecutive months of contraction. Economists also predicted a rise in inflation to 2.5 percent in March and April－the consumer price index stood in the first two months at 1.6 percent. The situation now is more optimistic than expected. Previously, policy watchers expected the People's Bank of China might further cut the reserve requirement ratio to stabilize economic growth in early April, but that seems to be delayed. "The worst is over－why shouldn't we wait a little bit longer", a former central bank monetary policy department official told China Daily on condition of anonymity. "Besides, the room for lowering the reserve requirement ratio is limited, and the central bank should be more cautious before taking another cut." "Some investors are appealing for a cut in the reserves, because they think that would channel more funds into the stock market," he said. "But the truth is, the stock market isn't lacking capital right now." Preventing accumulation of asset bubbles could be another reason policymakers are holding back on monetary easing, though balancing between growth stabilization and controlling leverage is always tricky and difficult, according to analysts. If you rely too much on easing monetary policy, asset prices will be pushed up, and that would only fuel "short-term prosperity". As a result, speculative sentiment will boom, and the "national bullish market" may eventually experience sharp corrections if the real economy cannot be actually boosted, said Shen Jianguang, chief economist at JD Digits, a Chinese fintech group. The last reserve ratio reduction was in January, when it was cut by 1 percentage point, which freed more than $110 billion into the financial sector. That was the largest of the five cuts the central bank made since the start of 2018. 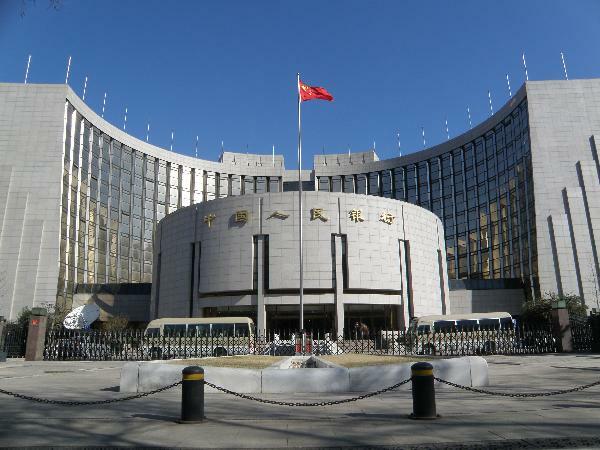 Following the previous reductions, Chinese commercial banks now have varied levels of reserve requirement ratios, ranging from 7 percent for small and rural financial institutions to 13 percent for the six largest State-owned banks, according to the People's Bank of China. From the perspective of commercial banks, the reserve requirement ratio cuts in 2018 have supported their net interest margins' expansion and alleviated banks' funding cost, said Grace Wu, the senior director of Financial Institutions with Fitch Ratings. "But the outlook will be more challenging this year as banks are asked to lend more to private enterprises and at lower rates," she said.